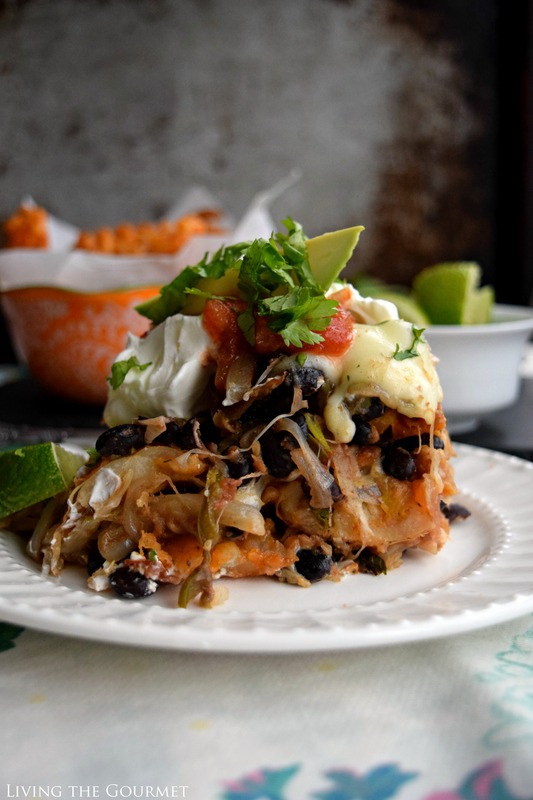 Lasagna gets a Southwest Style twist in this fun and delicious dish! 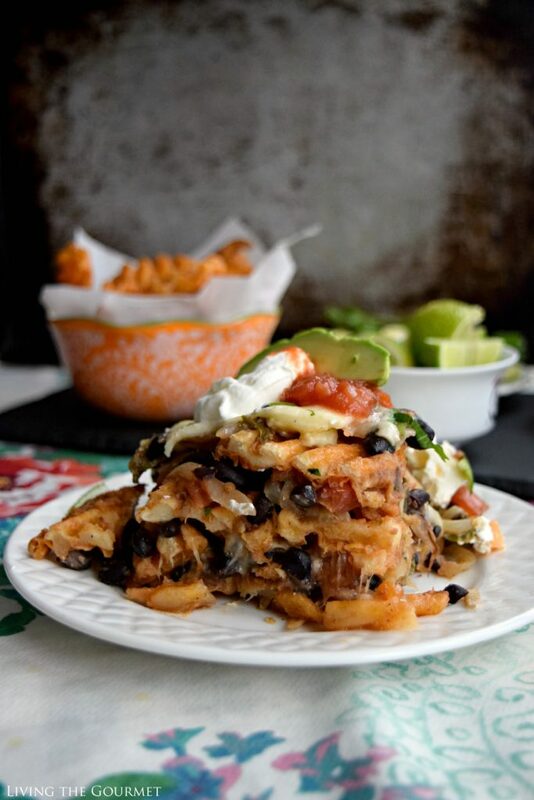 Layered with McCain Seasoned Waffle Fries, spiced black beans and cheese, this is sure to be an instant hit! There’s a cliché about ‘opposites attracting,’ and how ‘we always want what we don’t have.’ I suppose that was the situation in which I found myself during this year’s most severe blizzard. You see, to live on the coast in New York is to put oneself at the mercy of multiple clashing elements, from floods to winds to inundating blizzards. It’s strange the way literature often describes hopelessness, comparing it to a sense of emptiness, or of impending doom, or of time either standing still or passing you by. Select your favorite metaphor for that sensation, and that’s precisely what I felt standing at my kitchen window watching as my backyard transformed into a desolate tundra. Like edifices of a past age plucked from a Lovecraftian horror, by late afternoon, the piles of my dock were all that had survived, standing snowcapped above the clear field of white, as even the river itself had disappeared beneath the snow. Being who and what I am, my natural response to this sudden inundation was to pair it to that night’s meal. However, I simply couldn’t bring myself to succumb to any of the usual items of ‘typical’ winter fare. 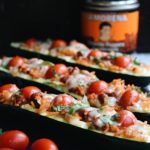 Instead, my imagination began traversing various summer dishes, and I found myself particularly lingering upon a personal favorite of mine – Southwest Style Lasagna. I know what you’re thinking. Southwest Style Lasagna is a medley of summer-themed flavors, and is usually best enjoyed outdoors with friends under a beaming sun. That’s precisely the point, actually. 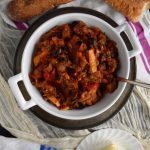 I wanted a flavorful escape from the tundra, something that was just plain ‘fun’ to eat, something that would breath a bit of joy into my kitchen. 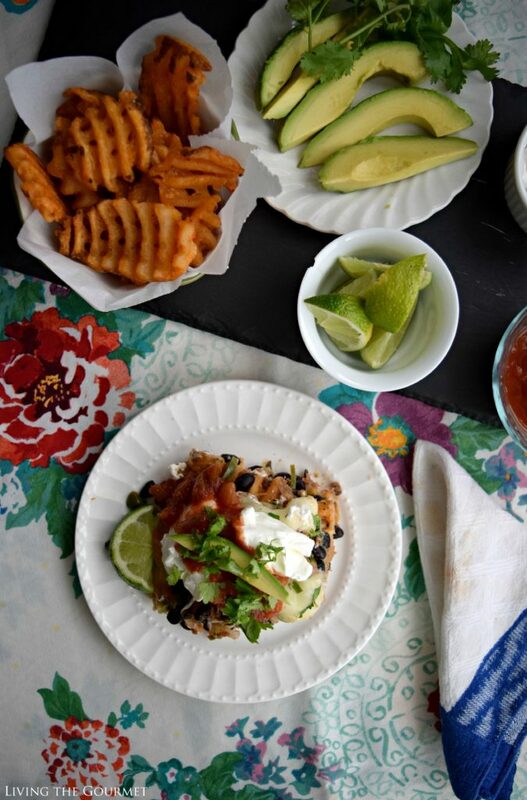 Now, while I usually make Southwest Style Lasagna with tortilla chips, this time, however, I decided to put a bit of a twist on the recipe, and swapped in McCain Seasoned Waffle Fries, which I had picked up during my last grocery shopping at ShopRite. 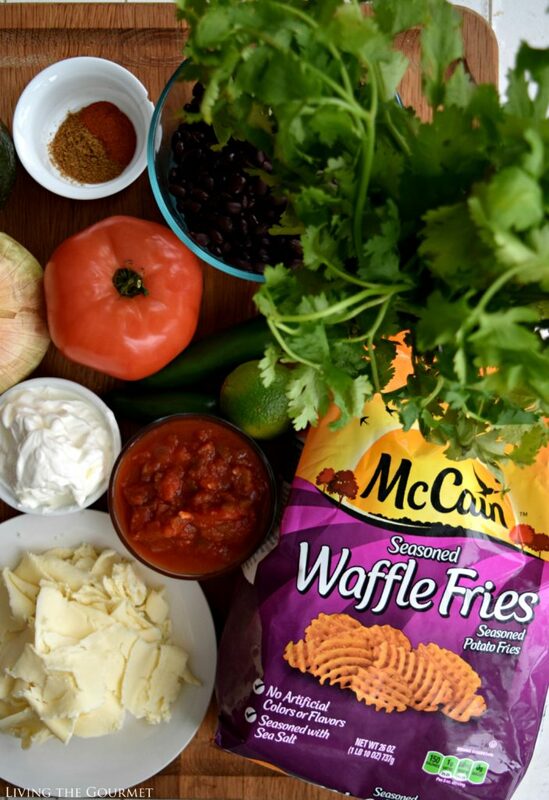 The McCain Seasoned Fries are made with real potatoes and unique flavorful seasonings for a delicious taste! The effect is added flavor, and a slightly hardier texture, creating a somewhat more ‘substantial’ lasagna overall. First things being first, we start the lasagna by preparing the McCain Seasoned Waffle Fries as directed on the bag, and then set them aside. From there, we heat up a cast iron pan with olive oil. We then sauté an onion in the oil before adding in diced tomato, a jalapeno, black beans, cilantro, and the seasonings. Now, the fun part – layering the lasagna. 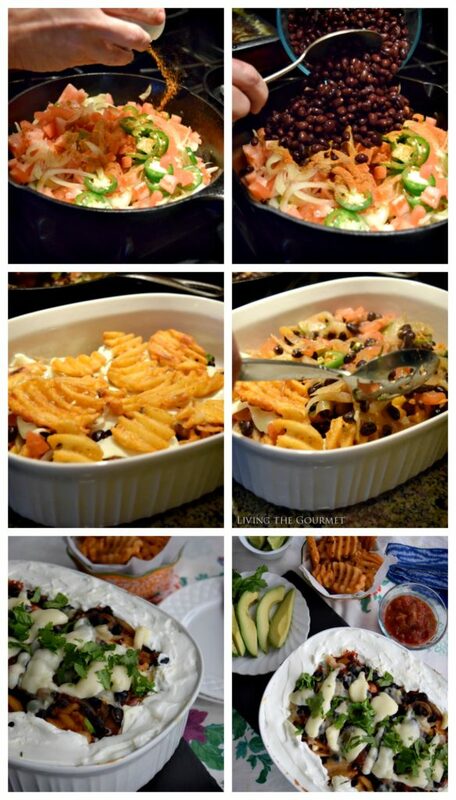 To start, line the bottom of a casserole dish with the waffle fries. Be sure to eat every fifth fry you pick up…for maximum ‘fun,’ which is an essential ingredient. Then, using a slotted spoon, top the fries with the bean mixture we prepared in the cast iron pan, and then top this with copious amounts of mozzarella. Then, simply repeat this process until you have filled the casserole dish, and finish up by lining the inside perimeter of the dish with sour cream. After baking for about a half-hour, serve with a few slices of avocado, a lime wedge, and a dollop of sour cream and your preferred salsa. 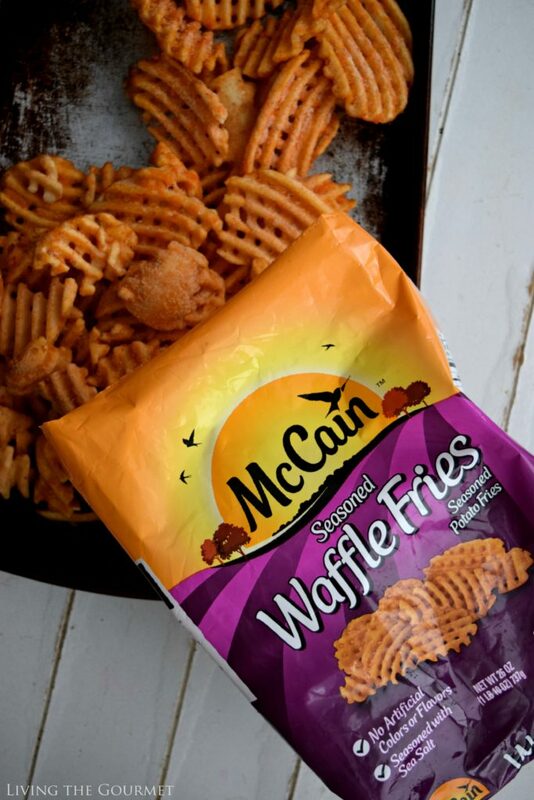 Preheat oven to 425 degrees F. and prepare the McCain Seasoned Waffle Fries as directed then set aside. Heat a large heavy cast iron pan with the olive oil. Add the onion and sauté for 2 to 3 minutes; add the tomato, jalapeño, beans, cilantro and seasonings. Continue to gently sauté for another 8 – 10 minutes. Arrange the bottom of a casserole dish with the baked waffle fries. 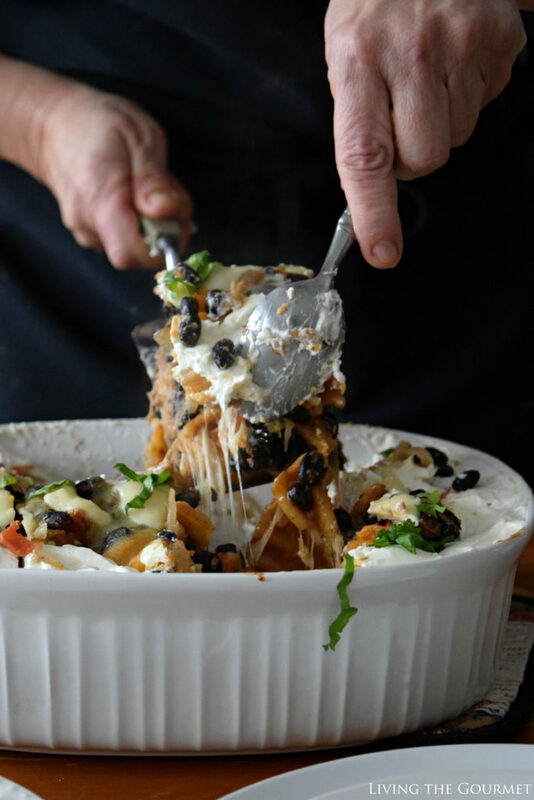 Using a slotted spoon top the fries with the bean mixture followed by sliced mozzarella cheese. Repeat this process to the top of the dish. Finish the dish off by spooning the sour cream around the edge of the dish. 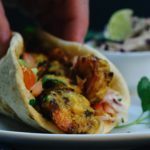 Serve with sliced avocado a lime wedge and your favorite salsa. And just like that, you have an instant explosion of flavor, perfect for anytime of the year. 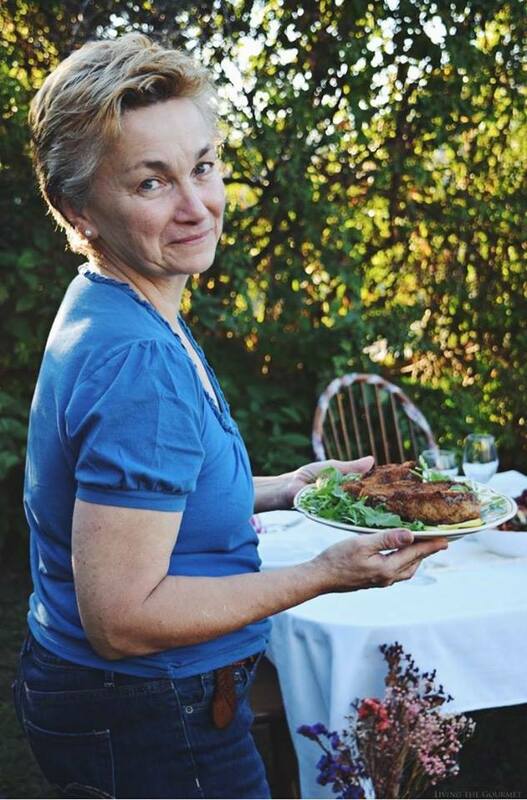 What are some of the ways you bring flavor and joy to the table? We would love to hear from you. 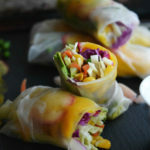 Also, be sure to check the McCain Blog for even more unique recipe inspiration! Looks super comforting and delicious...definitely worth all of the calories! 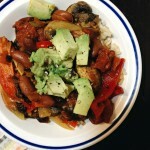 Dear Catherine, I love how you use your surrounds to come up with this dinner recipe! This delightful Southwest Style Lasagna with seasoned fries is indeed a - like you so eloquently put it "flavorful escape from the tundra." 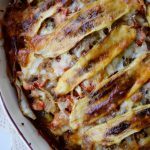 Loving the fries in this instead of lasagna - I've never had Southwest Lasagna and now see how much I'm missing! Love how creative this meal is! What a great change of pace for dinner! Gotta throw in some fun every now and again at dinner time, right?! Yummy..........It's Very delicious and tender!